Modern office-based businesses need more from their phone systems than simply call-and-receive functions. And there is a broad variety of systems available on the market to cater to the needs, both current and future, of businesses of all sizes and types. But so many brands, systems and functions can make it very difficult for businesses to choose the right one for them; it’s all too confusing. However, here are four functions a good phone system will have. Voicemail is one function that is indispensable for all businesses, large and small. A business without voicemail is a business vulnerable to missing new inquiries from potential buyers, crucial calls from current customers, and updates from suppliers to name just a few scenarios. Including voicemail in your armory of functions means you will be able to capture calls while you’re in a meeting or on another line. Moreover, a flexible voicemail function allows you to customize greetings and switch from one to the other depending on your current situation. What’s more, your voicemail can also be directed to your email account, enabling you to check it from anywhere you can access email. To help make a positive impression on your customers and suppliers, the automation function is indispensable. There are Panasonic phone systems on the market from suppliers like Com2 that can automatically answer inbound calls with a friendly greeting, place callers on hold, queue them and direct them to the appropriate person or team. Automation helps to keep your overhead costs lower by removing the need for staff to handle these functions, leaving them with more time to perform other tasks. Music on hold has advanced far beyond the ubiquitous xylophone renditions of Greensleeves from decades past. While callers are on hold or in the queue, modern phone systems can play pre-recorded music likely to appeal to the callers, or perhaps stream content from the Internet through the phone system. Another alternative is to play content from a local radio station. But one advantage of music on hold is being able to play advertisements for your business or other instructive content while callers are on the line, perhaps prompting them to ask about your latest offer while talking about another matter. This can be a great sales tool. 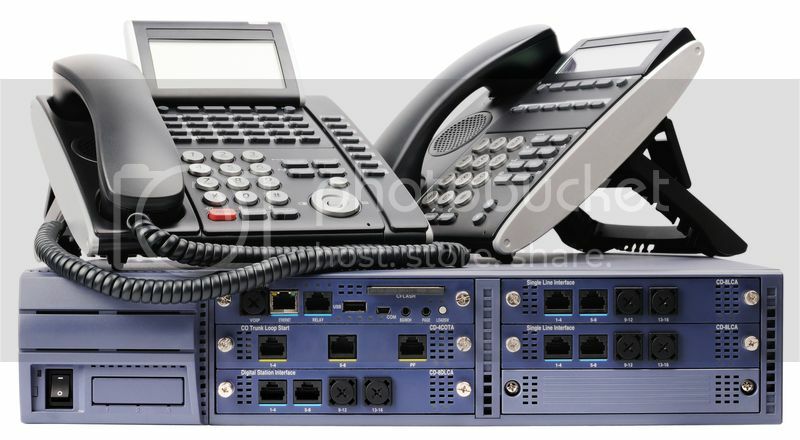 With almost everything now connected to the Internet, there is no reason for your office phone system to be isolated from the online environment. Internet connectivity for your phone system opens several options for your business, one of the most significant in terms of cost savings and convenience being VoIP (Voice over Internet Protocol). Using VoIP for calls can significantly reduce a business’s call and line rental costs and quickly return the investment due to lower operating costs. And because voice data is transmitted in digital and converted by the VoIP phone, the caller on the other end of the line will hear a much clearer voice than they would if your business used a standard analogue system. These are just four functions a good phone system should have. Why not add your own suggestions below? These days we rarely pay attention to a good phone system because of our cellphones. But it's good to know that there are phone like this still available. Everything is s high tech nowadays, it scares me sometimes.